One dress, two looks. One of the best things you can own in your closet are versatile pieces. Items that you can change a pair of shoes, or add a jacket and take your look up a notch. 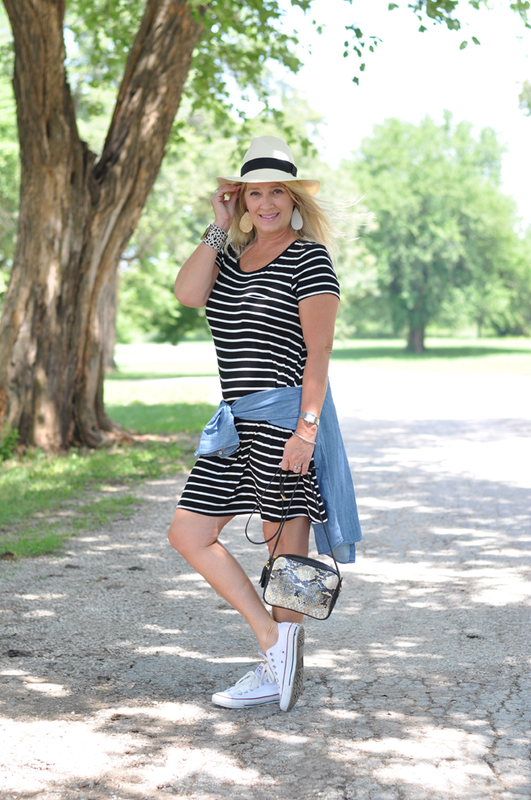 This stripe dress is definitely a versatile summer dress. Paired with a converse sneaker this is a perfect summer casual outfit. Of course, a hat is a necessary accessory! You have seen me wear my Nickel and Suede leather earrings many times. They are so comfortable and lightweight, you really don't realize you have any on. I tied my chambray shirt around my waist for more of an added touch of color more than a necessary layer. Tying my chambray shirt around my waist also serves well to keep you skirt down when the wind picks up!! 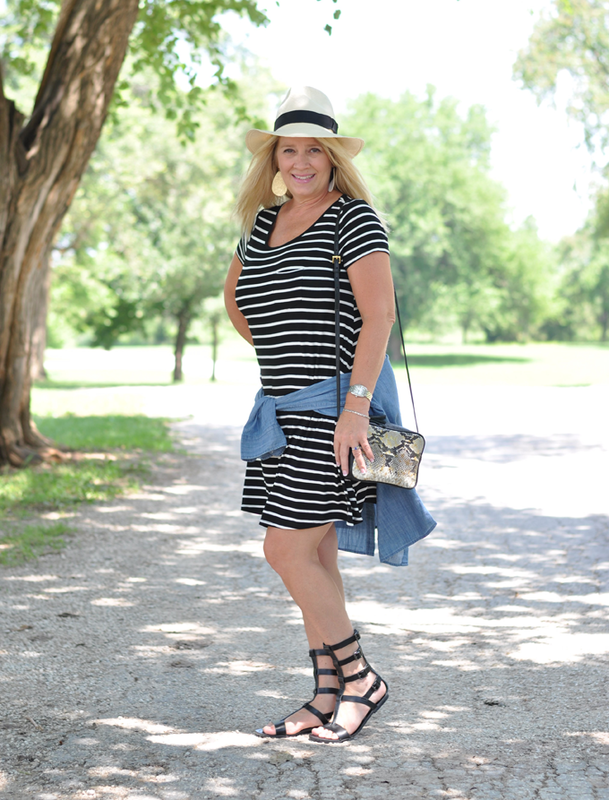 I switched up my outfit with a quick change of shoes and these gladiator sandals dressed it up for an easy evening out with friends or date night. My chambray shirt tied can now serve as a layer if it becomes chilly out. What do you have in your wardrobe that you can transition into multiple outfits with minor changes?